I'm super-excited to announce that I have another new cross stitch available! 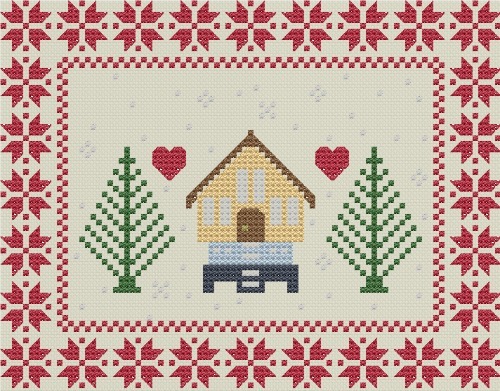 Winter Chalet is the first in a three-part series called Nordic Christmas; the next two patterns will be released over the next couple of weeks. 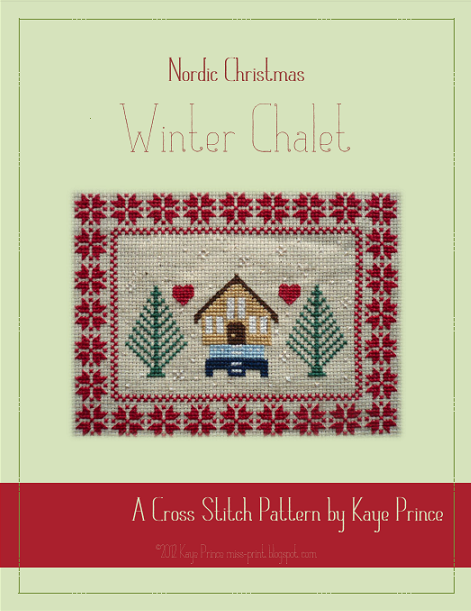 This series was inspired by my love of all things Nordic and Scandinavian, and my overwhelming urge to stitch up something fun for the holidays. All patterns in the Nordic Christmas group will feature modern takes on traditional Nordic and Scandinavian design motifs and will work together beautifully. Winter Chalet features a star border based on a traditional Norwegian star motif, and a stylized chalet nestled in the trees. I used an oatmeal aida for the background so that the white snowflakes would stand out a little more and I also twisted a strand of metallic gold in with my white floss so that the snowflakes would sparkle. 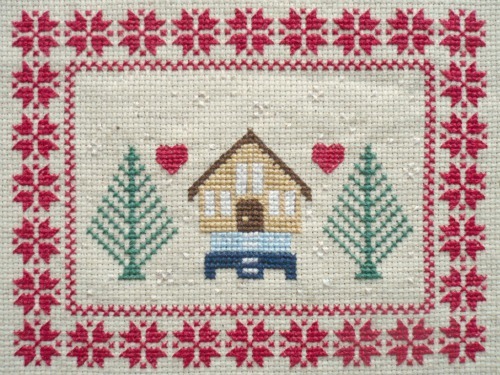 Winter Chalet finishes at approximately 5x6.5". The pattern includes a black and white chart, a colour block chart, a floss key with all of the colours you will need, and some helpful stitchery notes. The pattern can be purchased from both my Craftsy and Etsy shops. Check back soon for the next instalment in the Nordic Christmas series! 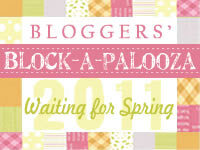 This is so fun you guys, I have really been having a blast designing these! This is lovely and very inspiring! Your winter chalet is quite lovely, Kaye. 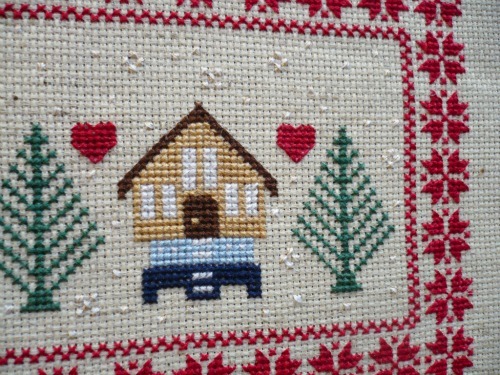 so sweet with those quilt blocks cross stitched around the outside.